Dayo Oduleye is a very dynamic and growth oriented person. He has lead different roles in the company over the years and he is presently the Business Development Manager focusing on external and internal business growth strategies. Before Design Genre, he worked for BankPHB and was the Vice President Exchange for AIESEC, Ilorin, Nigeria. 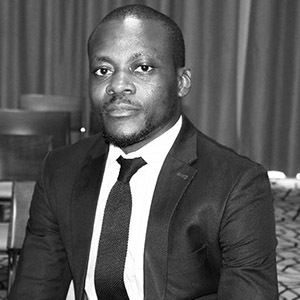 Dayo has a wide range of experience in administration, accounting, finance and management. He has a Bachelor’s Degree in Statistics from University of Ilorin, Nigeria, an MBA in Corporate Finance from Obafemi Awolowo University Ife, Nigeria, an edX Verified Certificate in Strategy and the Sustainable Enterprise from Indian Institute of Management, Bangalore and Certificate in Organisational Analysis from Business School Netherlands, Nigeria. He is also the Chapter Manager for the Entrepreneurs’ Organisation in Lagos working with other regional and global colleagues to help transform the lives of entrepreneurs who then transform the world. Dayo has interest that spans across reading and photography.